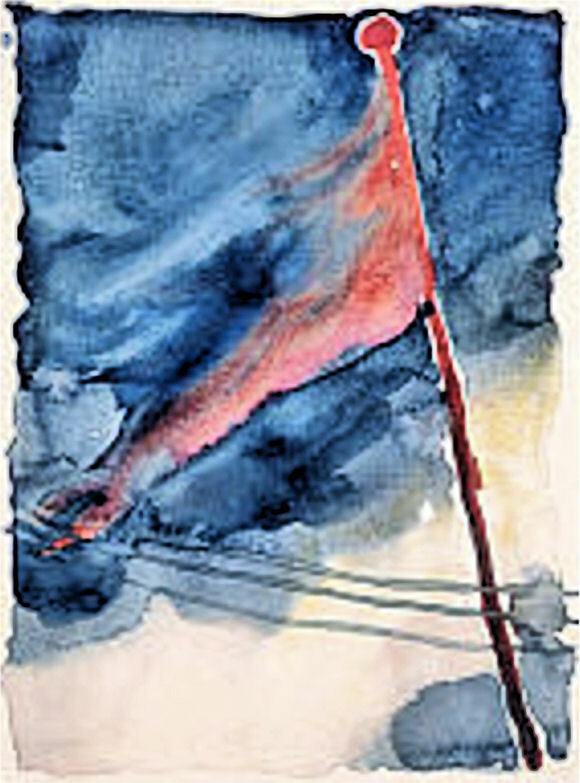 "The Flag" is a painting by Georgia O'Keeffe (1918), that represents her anxiety about her brother Alexis being sent to fight in Europe during World War I. It is held in the collection of the Milwaukee Art Museum and was part of the traveling exhibition "World War I and American Art" exhibition that was featured during the Centennial as several major venues around the country. According to Wikipedia, O’Keeffe found herself at odds about the war with people in Canyon, Texas, where she was teaching at the local college in 1917. She was discouraged by attempts to glorify it and tried to persuade her male students to continue their education, rather than fight in the war. She also wanted authorities to create a course for young men about the reasons and causes of war before they engaged in battle. She created a stir when she asked a shop owner to remove Christmas cards from his shop that expressed anti-German sentiment. Georgia visited Alexis when he visited was training as an engineering officer at Fort Sheridan, Illinois, and found him doubtful about his prospects of returning home alive. As it turned out he was severely gassed during his service with the AEF's 32nd Division and suffered from his wounds for the rest of his life. Similarly to many other gas victims of the war, who survived their injuries and returned to civilian life, Alexis O'Keeffe eventually died an early death from their effects. He died in 1930, at the age of 37. The Canyon community grew increasingly nervous about O'Keeffe's overt antiwar posture, especially considering the recently passed Espionage and Sedition Acts. In the midst of the controversy, however, she contracted the flu and left the area to recuperate. It was during this period that she painted "The Flag." Until recently, "The Flag" was one of Georgia O'Keeffe's least-remembered works. 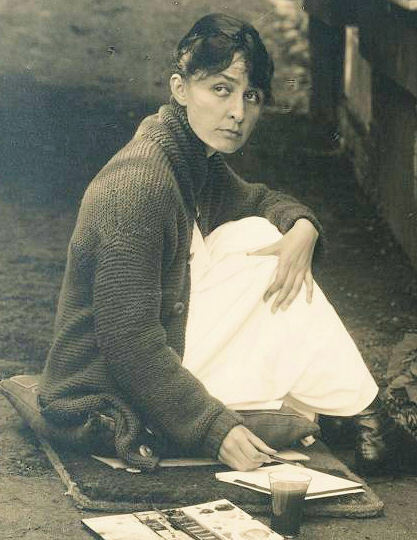 Her biographer, Roxana Barry Robinson, describes the painting, "O'Keeffe sets a drooping flag against a starless, darkening sky. The flag flutters limply, stripped of its stars and stripes; its only color, and that of the pole, is blood red." Quite a powerful, subtle painting.